Kandoo is growing up, or at least their target market is. 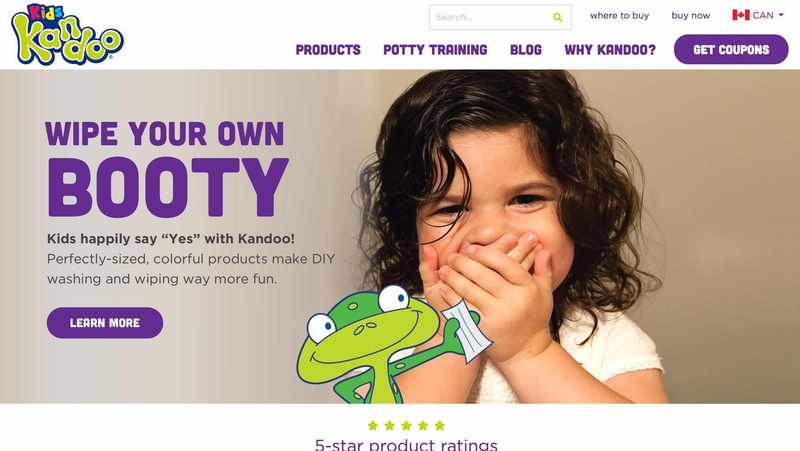 They approached USDP about re-designing the Kandoo site into a fun, engaging, frog-rich experience that focuses on their core belief: teaching kids healthy cleaning habits. The new site is a responsive design with dynamic elements that delivers content in a humorous and light-hearted way. We encourage user engagement by showcasing special offerings, deals, and creative product placement. It also helps to have cute pictures of silly little kids! A new responsive website design for desktop and mobile puts all the content at your fingertips, and makes shopping simple for moms on-the-go. 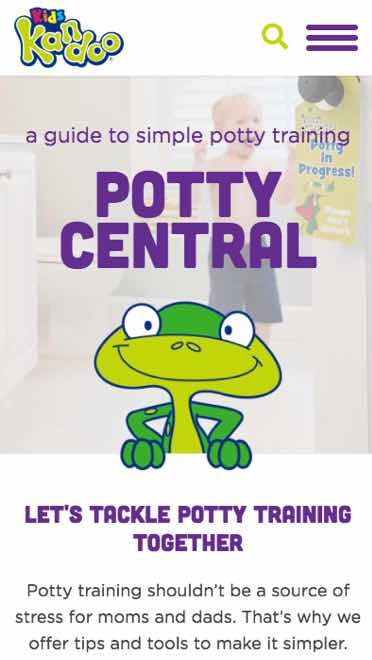 Need some advice on how to get junior potty trained? See what qualified professionals have to say with a great tips and tools section. We stepped up the 'potty talk' a bit in this redesign. Incorporating our copywriter on this project was a home run and took this site experience to a whole new level.